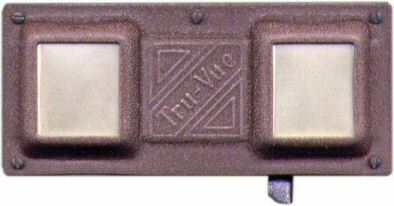 TRU-VUE Inc., Rock Island, Illinois USA manufactured the viewers shown below. 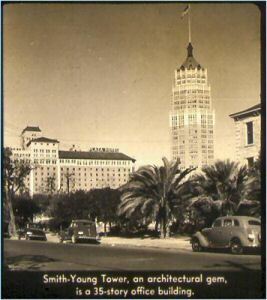 The company was founded in 1931 and after the 1933 "Century of Progress Exposition" in Chicago grew and flourished through the 1930's and 40's. 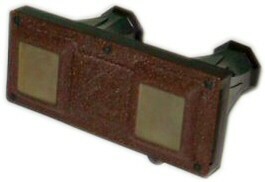 The original viewers used 35mm filmstrips, generally containing 14 stereo views, which were pulled through the viewer using a lever (visible at the bottom of the left-hand photograph below). 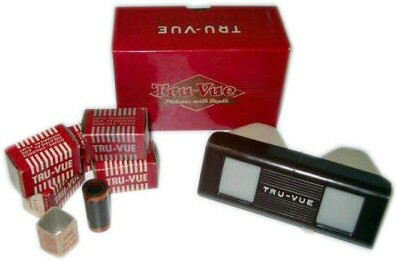 In 1949 Tru-Vue sold over a million reels of film!. 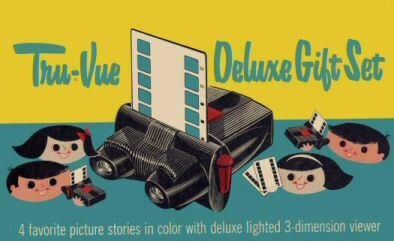 1950 saw Tru-Vue introduce their first colour films, this was a direct attempt to compete with Sawyers View-Master. 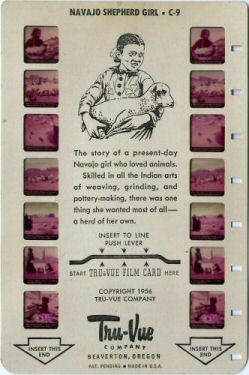 There were over 400 filmstrips made by Tru-Vue and more were available from third-parties. 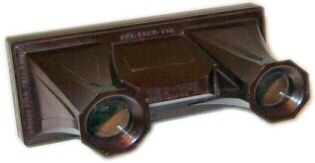 The quality of the 3D presented is generally very good, although the films need to be handled carefully. 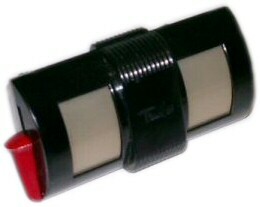 The colour "Stereochrome" films tends to loose their colour with age. 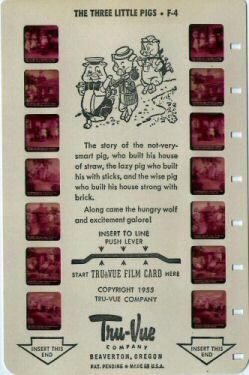 Film-strips and viewers were made between 1933 and 1952. 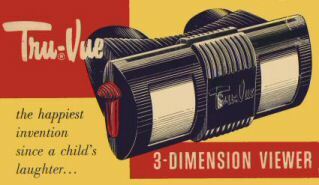 Ultimately the Tru-Vue company was acquired by Sawyers View-Master in 1952, who wanted the rights to Disney licences held by the company. 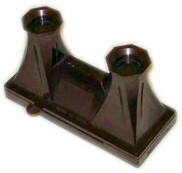 A 1933 Tru-Vue Stereoscope made from Bakelite with smooth brown metal front-plate. 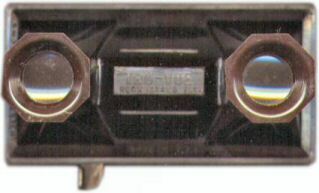 A 1936 Tru-Vue Stereoscope with a crackle finish brown metal front-plate. 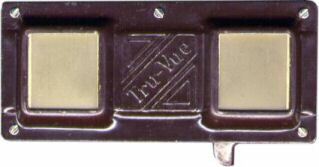 "U.S. Patent 90564"
The 1936 Tru-Vue Viewer below has a crackle finish metal front plate. 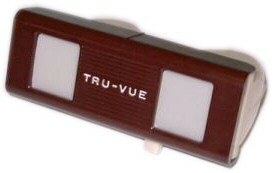 Another example of a slightly earlier Tru-Vue filmstrip viewer (1940 - 1946) shown with a filmstrip inserted. The viewer costs $1.00 when new. 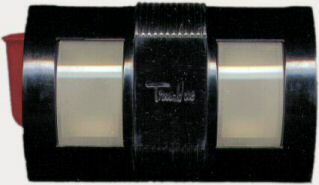 A Tru-Vue Deluxe Lighted Slide Viewer from early 1957 from a No. 525 Gift Set. 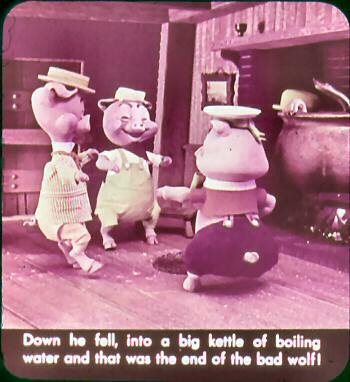 In 1957 the viewer would have cost $3.49. 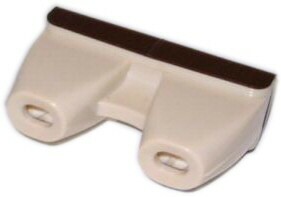 It operates on two "D" sized cells. 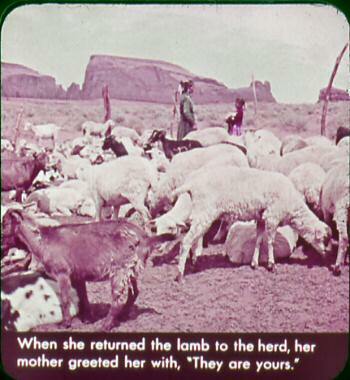 Two scenes from "Navajo Shepherd Girl - C9"
Two scenes from "The Three Little Pigs - F4"
A Tru-Vue 'Economy' Card Viewer from the early 1960's. 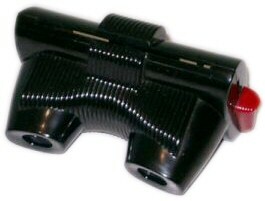 Also known as a "Magic Eyes" viewer. 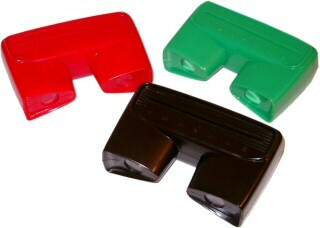 These viewers are made from cheap plastic and are quite brittle. 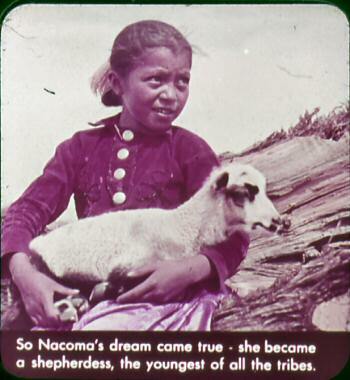 They have no advance mechanism as with previous viewers. Instead the card is advanced simply by pushing downwards it through the viewer. 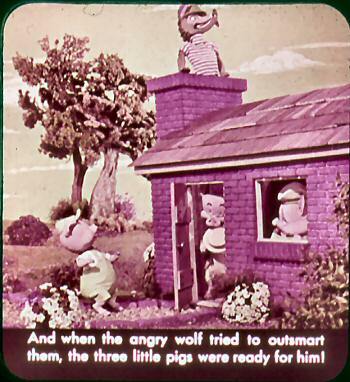 These viewers were produced in a number of different colours and were supplied on a blister pack display card.